Preheat oven to 220°C (425°F). Place ¼ cup (75g) of the curry paste and the oil in a large bowl and mix to combine. Add the spatchcocks, salt and pepper and toss to coat. Set aside for 10 minutes to marinate. Place the spatchcocks on a lightly greased large oven tray, discarding any excess marinade, and cook for 18–20 minutes or until golden brown and cooked through. Allow to rest for 5 minutes. Place the remaining curry paste, the lime juice and coconut milk in a small bowl and whisk to combine. 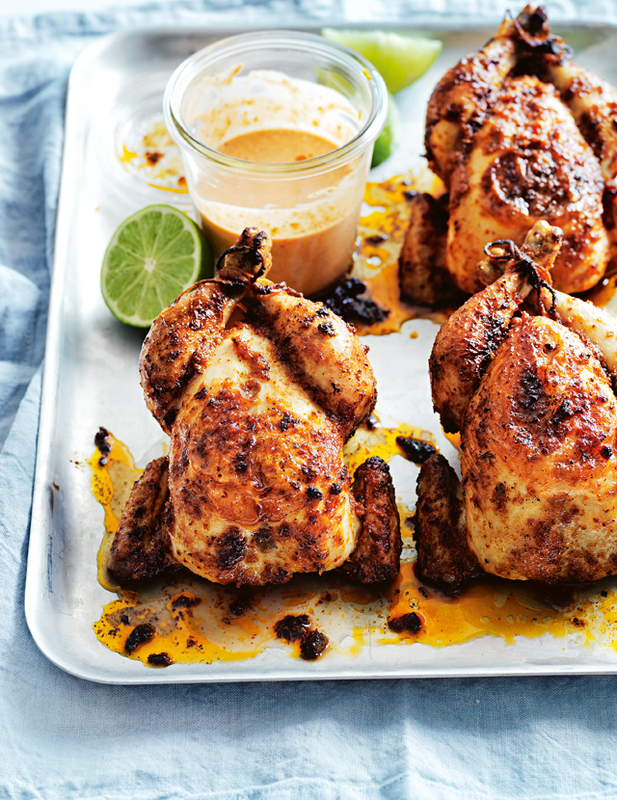 Serve the spatchcocks with the coconut curry sauce and lime wedges. Serves 4.